FRESNO, Calif. (KFSN) -- Two brothers were arrested Saturday evening after they stole money from a street vendor. A woman was selling flowers on the corner of Shirk Road and Riggin Avenue when 27-year-old Joel Martinez and 22-year-old Florentino Martinez pulled up on the side of the road, stole her earnings kept in a backpack and drove away. The woman asked for help from a passerby driver. They followed the two men to a home in Goshen and waited for police. 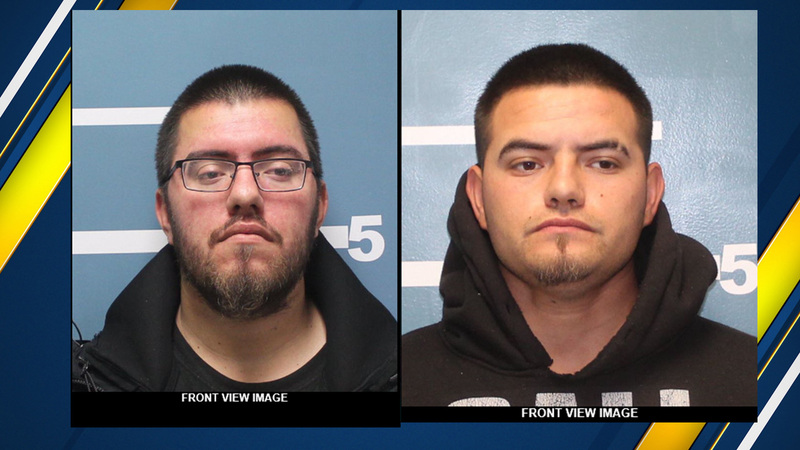 Visalia police officers arrested the two men, who are facing charges of conspiracy, grand theft, and possession of stolen property.